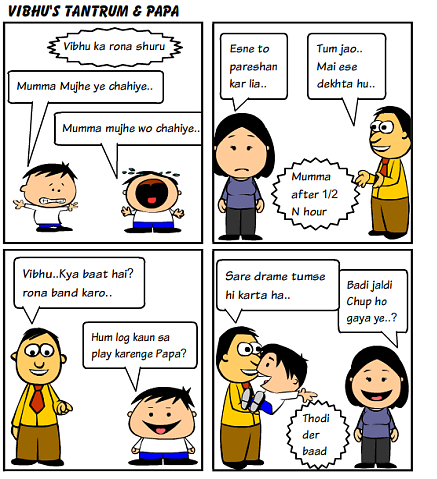 Mumma gives up in keeping Vibhu entertained all the time. But Papa has the key to keep Vibhu happy. "Saare Nakhre Mumma ke samne hi hai Vibhu ke.."